The Federation des Associations Regionales Haitiennes (FARHE) is a non-profit 501(c)(3) consortium of businesses, organizations and agencies serving Haitians in Haiti and across the diaspora. FARHE seeks to reach long and short term goals in areas of development and sustainability, while cultivating a new generation of leaders who will maintain Haiti as a vital and integral part of the Caribbean and the world. We hold a new vision for Haiti that is made possible through the amalgamation of expertise and resources needed to propel Haitians, and Haiti to new heights in coming generations. FARHE achieves our mission of sustaining a better Haiti by engaging in a series of focused projects across areas of need. We begin by aiding heath care through country wide programs that focus on pre-natal care, wellness visits and nutrition. FARHE also supports education by providing consistent and practical professional development for Haitian educators to help enact the implementation of innovative and multilingual curricula in Haitian schools. We assist agricultural practices that focus on minimizing soil erosion and deforestation, while developing Haitian land for the country’s own sustainable health and nourishment, over foreign profits. FARHE also supports promoting and constructing the utilization of solar energy; championing effective ways to sponsor a child; and backing efficient disaster recovery efforts. 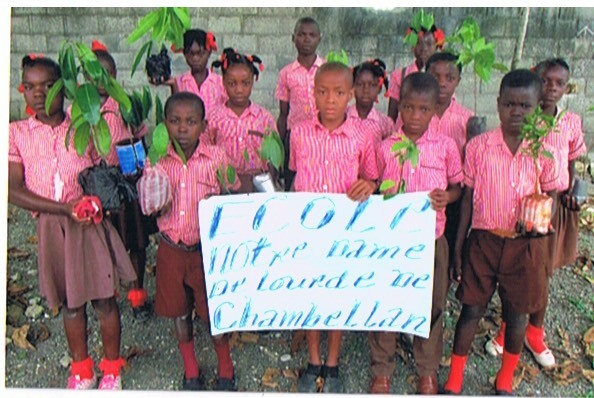 We raise funds, launch projects, carry out travel missions, and have supported other organizations in their grassroots efforts of achieving the same positive outcomes in Haiti, since 2009. 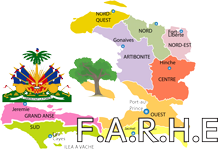 All members of the Federation des Associations Regionales Haitiennes (FARHE) are dedicated to long term improvements in Haiti and the lives of Haitians. We are committed to help prepare current and future generations (through education, information, health care, nutrition, agriculture, ecology, and disaster relief) to be active participants and competitors in the global arena. We believe that whoever you are and whatever you do, you can be generous to Haiti. We can do this together. FARHE REPRESENTS HONEST LEADERSHIP FOR A BETTER HAITI! The mission of FARHE is to serve Haitians living overseas and in Haiti, helping them to reach their short and long term goals, in the following ways.